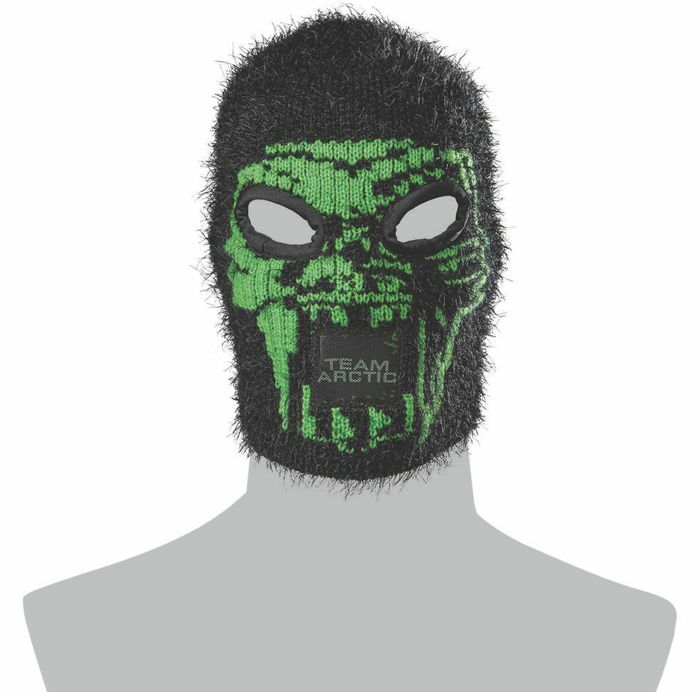 Unleash your inner beast with the new Cathead Facemask – this year’s humorous gotta-have-it from Arctic Cat. It’s made from soft and comfortable 100 percent acrylic that stretches to fit adults, youth and most beasts. The Team Arctic-labeled mouth area is made from mesh for easy-breathing. It’s a great fashion statement with an MSRP of $21.95 U.S./$24.95 Canada. 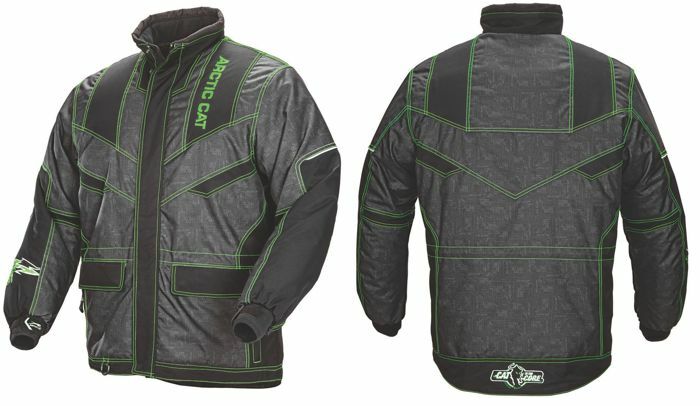 Arctic Cat designed the new men’s and women’s Iron Dog Coat with 200 grams of high performance 3M™ Thinsulate™ Insulation for warmth, breathability and water resistance. Five pockets – including a tangle-free MP3 player pocket – provide ample space for essentials. Waterproof and windproof neoprene cuffs with built-in thumbholes prevent wind from penetrating your arms, while adjustable draw cords at the waist and bottom offer additional custom fitting. The magnetic front closure flap simplifies front wind protection. And hi-vis 3M™ Scotchlite™ Reflective Material increases your reflective visibility from dusk to dawn. It’s available in Lime, Orange or Black, each with sublimated Team Arctic graphics, and sized from S – 3XL. The MSRP begins at $209.95 U.S./$239.95 Canada. The new ProClimb Seat from Arctic Cat is a compact, lightweight option for Arctic Cat ProCross and ProClimb chassis models with a 6000 or 8000 Series engine. Eleven inches high, it offers a more ergonomically-friendly shape that’s 5 in. shorter, 1.5 in. lower and 5 lbs. lighter than the 2012-2014 M long seats. A large, zippered rear compartment provides useful storage space. It’s available in two styles to fit models with either a short or long tank, and comes in Black, Team Arctic Green, Orange or White. The MSRP is $299.95 U.S./$346.95 Canada. 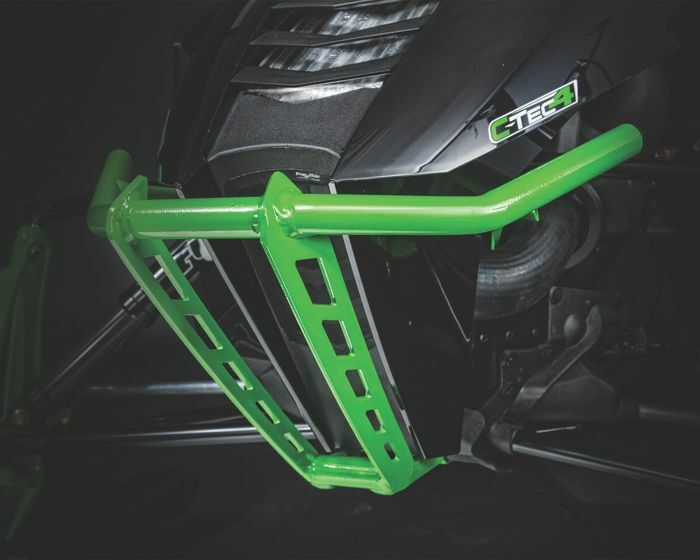 The new ProCross Bumper from Arctic Cat provides stylish protection to the front of all models with a ProCross or ProClimb chassis. It’s constructed from aluminum and finished in Brushed or powder coat paint in Black, Team Arctic Green, Orange or White. It weighs 3.2 lbs. and attaches in minutes with no drilling or cutting. The MSRP is $189.95 U.S./$219.95 Canada. These items are available now at most Arctic Cat dealers, or by making the JUMP to the E-STORE. I wonder if the cathead facemask would draw extra attention at a bank or airport? Only 4 Arctic Cat teams in the Iron Dog? Allen..."Only takes one to win!" Shannon: My kids are using these masks for Halloween. AllenO: This is an interesting place/story to post a question about a cross-country race. Can't cat keep their Cat logo from changing all the time? I wish they would have some stability . kinda like a dodge, they just can't seem to find anything the works. Even tried re branding it.